The Best of The Cimmerian » TOLKIEN, J.R.R. A vague bulk crouched in the darkness before him, a pair of eyes blazed like the eyes of a hunting beast. A beast-like snarl was the last thing he heard in life, and the monster lurched against him, and a keen blade ripped through his belly. He gave one gasping cry, and slumped down limply on the stairway. The barbarian loomed above him for an instant, ghoul-like, his eyes burning in the gloom. While I’d heard whispers of a new Christopher Lee project on the Official Robert E. Howard Forum,* it was this fine blog entry by Jeff Sypeck on the Quid Plura? site which motivated me to get up off the parliamentary side o’ me arse and compose a blog entry of my own. Filed in FILM — HORROR — HOWARD, ROBERT E. — TOLKIEN, J.R.R. 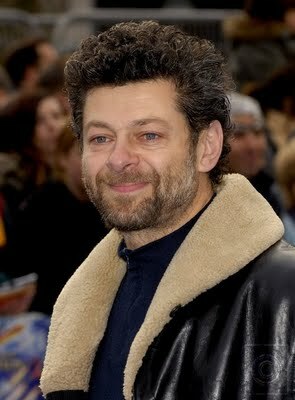 Andy Serkis, the actor whose voice and mannerisms brought to life the character of Gollum in Peter Jackson’s film adaptation of Lord of the Rings, has now taken on another unsavory character sprung from the well of imagination that was the Inklings. This time, Serkis is trying his hand at Screwtape, the epistolary demon from C.S. Lewis’ classic, The Screwtape Letters (which book was dedicated to JRRT). 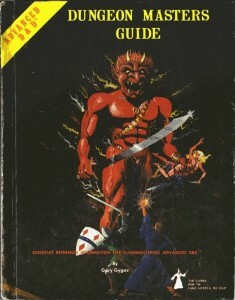 If one judged by recent posts, it might be hard to tell that The Cimmerian is a “website and shieldwall” for Robert E. Howard and J.R.R. Tolkien. 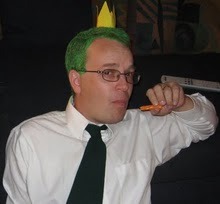 The Man From Cross Plains has dominated our recent blog activity, but never think we’ve forgotten Tollers. The Cimmerian will be giving the Loremaster of Middle-earth his due in the coming weeks and months. I stumbled upon a couple of news items relating to John Ronald Reuel yesterday. While both concerned revelations that are weeks old (at least), I hadn’t known about either of them and I assume that both articles would be news to many others. 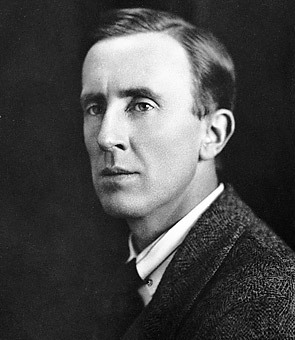 Filed in OTHER AUTHORS — TOLKIEN, J.R.R. 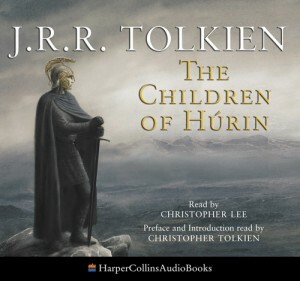 It was almost two years ago to the day that I first learned of the (then) forthcoming audiobook dedicated to The Children of Húrin. Despite the heads-up from Mr. Tompkins, it was only in the waning days of May 2009 that I finally acquired my own copy. 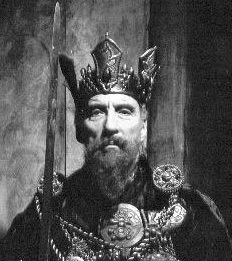 Having some unforeseen time on my hands this last week, and an anniversary to commemorate, I sat back and gave a listen to Christopher Lee’s (and Christopher Tolkien’s) performance on the night of June 22, 2009. Morgoth’s words to Húrin, son of Galdor, upon the Haudh-en-Nirnaeth, from The Children of Húrin by J.R.R. Tolkien. 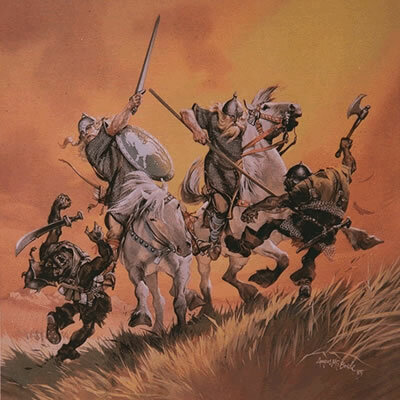 In my first post about Húrin, the greatest mortal warrior of Tolkien’s First Age, I looked at his life and deeds up to his sixtieth year. 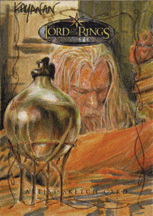 In my follow-up blog, I then summarized the events laid out in the collection of texts which JRRT seems to have intended to call “The Wanderings of Húrin.” In this post, I will trace Húrin’s journey to its bitter end. 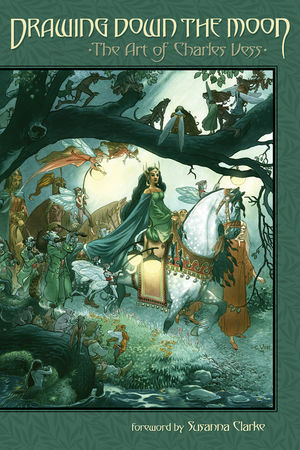 Much of this is recounted in The Silmarillion, but significant bits of the tale can only be found in The War of the Jewels: The Later Silmarillion.